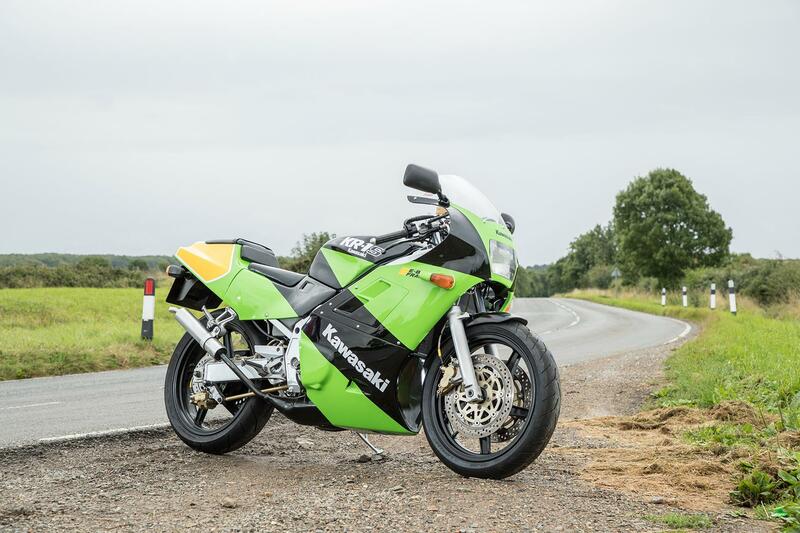 The Kawasaki KR-1S was one of the most exciting two-stroke performance bikes produced in the 1990s and here in Britain we absolutely lapped them up. So, what's it like 28 years on? 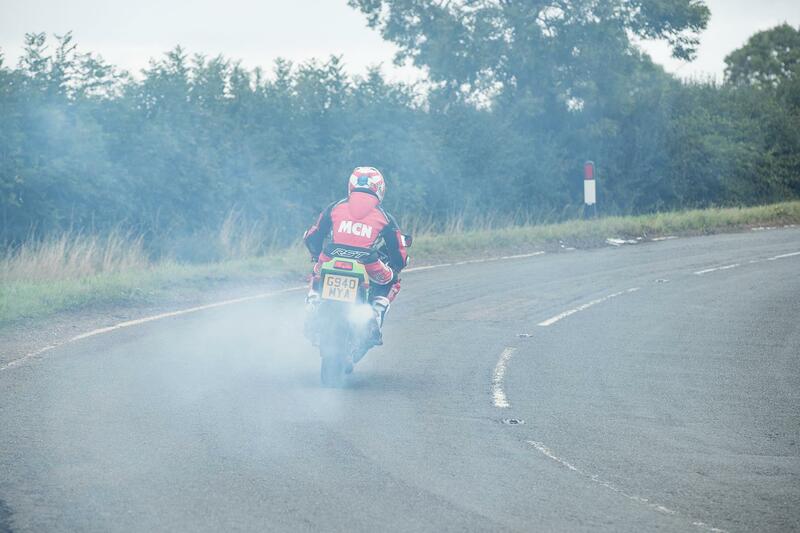 MCN finds out. What was the 250 like then? "Last year, the Kawasaki KR1 was the knockout sensation, voted Machine of the Year by MCN readers and it cleaned up in the supersport 400 championship. 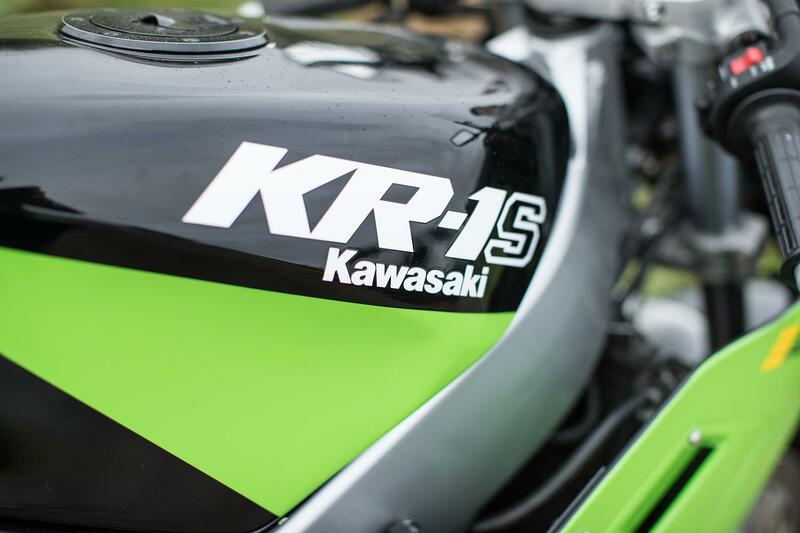 Not content with that, Kawasaki have introduced the KR-1S. Power on the green meanie is up from 54.23bhp to 59.16bhp at 10,500rpm. And there’s more torque up there too, thanks to revised porting, new pistons, a new exhaust system and faster, computer controlled ignition." MCN’s Chris Dabbs, February 28, 1990. But what does it feel like now? Britain went potty for the KR-1S when it was launched back in 1990. Many of Kawasaki’s production run of 10,000 ended up on these shores, but that doesn’t mean to say they’re plentiful today. 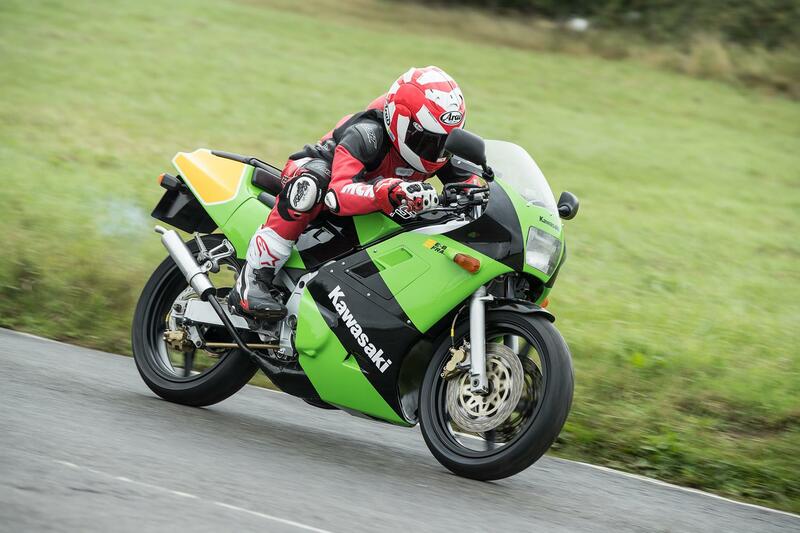 Those new bikes were crashed, thrashed, raced and abused - meaning most haven’t survived and a used KR-1S - especially one in good, original condition - is a rare beast indeed. This 1991 model showing 13,486 miles on its clocks has been restored to a decent, if not quite original, standard. It has had a recent full respray, as well as a full engine refresh, and brake overhaul. The bodywork is all-original, although there is the odd bit of plastic welding here and there. Overall, though, it’s in fine fettle. Just a gentle prod of the kick-starter and the engine fires up with a crispness that soon gets muffled up by the richness of the fuel mixture need for a cold start. The handlebar-mounted choke lever is slowly reduced to allow the bike to tick over for a few moments to let a bit of heat sink into the engine. Engaging first gear there is a bit of slack in the gear linkage, but the bike pulls away cleanly enough. Easing through urban traffic, I slowly increase the revs of the engine, all the while keeping an eye on the analogue temperature gauge; it’s still only half way to operating temperature so I’m still in the racy two stroke’s warm up zone. A rider aboard his Triumph Tiger on his daily commute passes me on a dual carriageway and gives me the thumbs up, clearly recognising the now unusual aroma of synthetic two stroke oil, and the rarity of a KR-1S. Now heading towards some B-roads, I start to rev the engine as it begins to clear itself; you almost have to force it to burn all of the unburnt oily fuel mixture that has accumulated in the warm up, but when it does the bike comes alive. Open the throttle and the revs soar freely to 12,000rpm - the KR-1S feels raw, zingy and quick as you hunker down behind the ample screen. It’s magic through the bends, too, in spite of its basic suspension, which the current owner has attempted to upgrade with a Hagon rear shock to replace the somewhat soft original item. Being so light, you can really fling it around on your favourite B-roads, as well as being able to carry impressive amounts of corner speed. It’s really rewarding to ride. Although it’s by no means a match for today’s sportsbikes, riding and owning a 90s two stroke like a KR-1S is an experience no modern bike can give you. The KR-1S was never known for its reliability, as it was a model plagued with issues when new. Although time, recalls and upgrades will have sorted those teething problems, a 26-year-old, lightweight two-stroke sportsbike is never going to be the most robust - so you’ll have to enjoy maintenance as much as you enjoy riding. The KIPS valve linkages on the cylinder head are notoriously fragile and prone to breaking, likewise the valves themselves are prone to coking up and seizing. 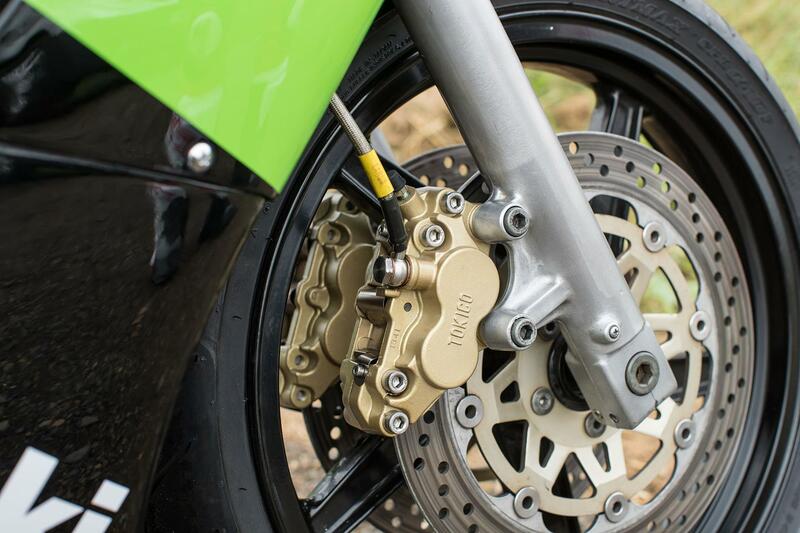 Away from the engine, look out for fragile bodywork - the sides of the fairings around the mounting bracket are especially prone to damage from the rider’s legs. This bike has been treated to a Skidmarx screen, which is the same dimensions as the original but which looks a lot less war-weary. There’s also a Hagon shock. That two-stroke powerband, along with its lightweight nature, can make the KR-1S a little bit on the flighty side, so many owners choose to fit a steering damper to ward off any tank slappers. The frame comes complete with a damper mounting boss as standard. Buying a used KR-1S can be a bit of a gamble. Many have been raced at some point and had modifications to the engine, which can make for a hard-to-ride and unreliable road bike. A bike that has been used solely on the road is an ideal buy; you want something that’s low mileage with relatively few owners in an unrestored, original condition. However, this would be something of premium buy, and likely to fetch as much as £6000 - a high price to pay for a 250cc machine making round 52bhp, and you can definitely get more bang for your buck elsewhere. 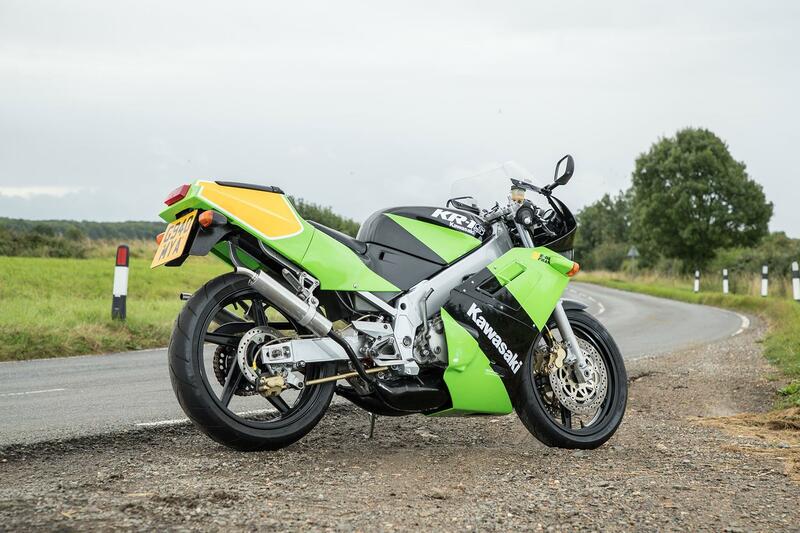 The KR-1S is a brilliant machine from a bygone age, and on today’s streets it’s a real head-turner. However, it’s hard to justify the prices that they’re currently commanding, and is something you’d buy with your heart rather than your head. Two-stroke lover Eric has been selling and racing all manner of stink wheels since 1976. Back in the early 90s, St Neots sold scores of KR-1Ss and they still restore and sell the odd one or two today. "We’ve sold hundreds of KR-1Ss over the years, but the last one I sold recently went for over £6000 - which is incredible when you think that they were only £2500 when new. If you’re thinking of buying one today you should always factor in some budget for a complete strip down and rebuild, unless the bike comes with solid proof of a recent engine refresh. "A specialist will probably charge you between £600 and £800 for a full engine refresh, depending on what needs doing. These bikes also thrive on regular maintenance so you should be prepared to spend as much time caring for it as you will riding it, perhaps more. "The original service intervals were every 2500 miles with major inspections coming in at 10,000 and 15,000 miles. However these days, with the bikes being so old and delicate, you should be lavishing care on them at much more frequent intervals - this is a huge part of the ownership experience. "Most genuine parts are now discontinued and used spares are getting increasingly scarce too. Thankfully there are a few aftermarket suppliers so look to Japanese bearing manufacturer Koyo for things like little end bearings, and Mitaka for decent aftermarket pistons. "Kawasaki never sold individual crank rebuild parts but instead sold replacement cranks as a complete unit. Needless to say, they’re unavailable now, but specialists can rebuild cranks using pattern bearings and seals, remade centre shafts and KMX125 con rods. "Blown generators were very common when the KR-1S was new, with many being replaced numerous times under warranty. These days most used machines will have been fitted with beefed-up stators from companies like Electrex, which cost about £100. "You should also check the bike’s oil pump regularly as the Nylon gear inside is prone is losing teeth and jamming the pump, which of course has dire consequences for your lubrication injection and will cause an engine seizure. Unfortunately this part is no longer available which means you have to look to the second-hand market to pick up a good used one. "Used prices are currently soaring as there are not many examples for sale, but if you’re looking for a project it is still possible to pick up a basket case for less than £2000, if you keep your eyes peeled."